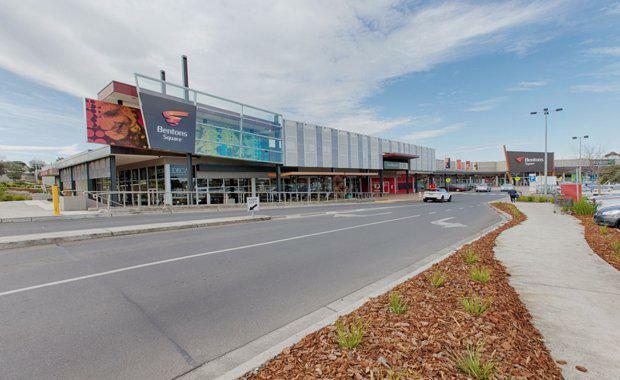 Image: Bentons Square: Vicinity Centres bought a half stake for $38.25m adding to the 50 per cent it already held. 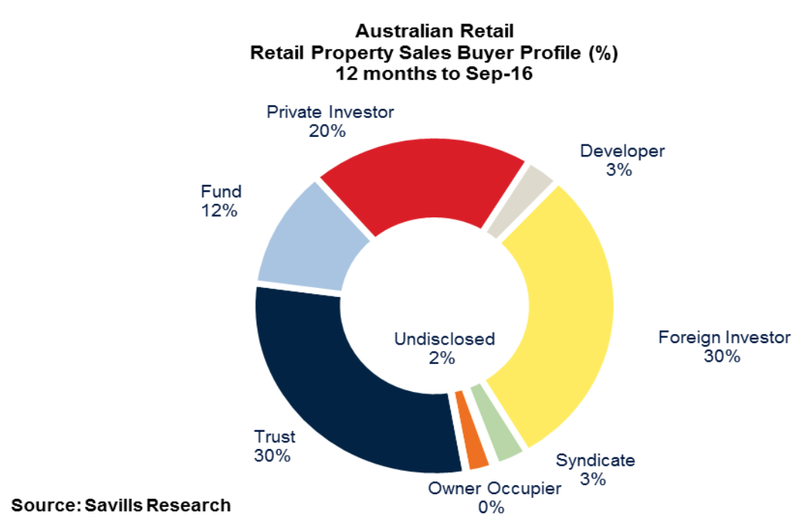 The latest Savills research revealed that investors continue their love affair with Australia’s retail property. Sales figures are at more than $8.4 billion nationally in the year to September, which is $1.3 billion over the five year average as yields continue to tighten. Trusts and foreign buyers are prominently identified creating the most activity, with each accounting for 30 per cent of total purchases nationally. Private investors also took a large chunk with 20 per cent of purchases. The research revealed that Brisbane leads the capital city markets, with sales of $2.39 billion just ahead of Sydney ($2.3 billion) and Melbourne ($2.1 billion), while Perth recorded sales of $989 million and Adelaide $649 million. While some totals were down on the previous corresponding period all were up on the five year average. "Retail property continues to attract significant investment dollars and while foreign investment has again been very strong, local buyers, institutional and private, have also figured prominently in snapping up any opportunities that are put to the market,’’ Savills National Head of Research Tony Crabb said. In Sydney, Savills National Director Retail Investments Steven Lerche said the availability of retail assets for sale continued to diminish and while the amount of money chasing retail remained huge, yields would continue to tighten. "Yield compression can only go so far, eventually it is going to taper off. The question is when do yields become so tight that private investors are tempted to sell? We may see some evidence of that soon as privates capitalise on the tight market and look at selling," Mr Lerche said. Savills Associate Director Retail Investments Pat De Maria said there was evidence that the bigger players were increasingly being forced to look at the smaller end of the market for opportunities. "Six per cent is now seen as a reasonable return and, what you might call alternative sectors of the market such as petrol stations, are attracting increasingly greater scrutiny,’’ he said.